Development update #5: Closed-Alpha and EGS! Hello everyone! It's been very busy on our end, receiving some feedback and making some improvements previous to our release on Itch.io’s Refinery as promised in the last post. And now we're finally looking for testers for this version of REalM! If you want to take part of the Alpha and help us make the game even better, then please fill out our form here! ​It's always necessary to hear from the players, and that's why this process is extremely important for us, since it will give us a broader overview about what our final users think about the game so far. And because of this, we're also participating at the EGS in Mexico City! ​This is the biggest event dedicated to the videogame industry in Mexico, with around 40,000 attendees per year, so we're really proud and excited to be at the PlayStation booth alongside other national independent games, like Randall from WeTheForce. If you have the chance we'll be really happy to see you there, and you'll of course have the opportunity to try out the game with its latest update and new surprises! Come meet us, we're waiting for you! Come and try out our game at EGS! Development update #4: Road to the Refinery! Hey there, as you may know if you have been following our last posts, during the past few months, we’ve been working really hard on polishing REalM. So finally it’s time to bring you some big news! In the following weeks, we’ll be releasing REalM: Walk of Soul’s Beta on Itch.io’s Refinery. It took us a little bit longer than we expected, but before bringing the Beta to you, we wanted the game to be as much polished as possible, also Itch.io gives us the tools to easily update the game and provide access to progressively more and more players, as the game gets in a more polished state. 1. Bigger emphasis on exploration. 2. Redesigned how the story was presented to make the game more immersive. 3. Adjusted the game’s difficulty curve. 4. Iris got new animations, now she shows emotions. 5. Improved the game’s loading system. Are you interested in being part of this refinement process and help us shape REalM: Walk of Soul? Then subscribe to our community list and we’ll keep in closer contact with you, notifying when it becomes available and sending you news about the development. The only mandatory field in the form is the email, but it would be great to have know your Steam profile so we could chat with you in the future in case we need anything extra. It's been 5 days since Resident Evil 7 teaser was released, and the finger mystery still haunts us all. It has to be of some use right? Recently I talked about our thoughts on the E3 and about how in games, things must be there for a reason, and that is precisely what I want to talk about today. To progress in REalM: Walk of Soul, Iris needs to find the effects, that which is a part of herself and that in game are presented as dresses. Crow, which lets you warp to the Nexus (the place where you can choose which area to explore); Dove, which allows you to make higher jumps; Automaton, which allows you to use its blade to activate some switches and finally Thorn, which looks cool. Thing is, there is really no real need in the game for those extra things they do. They look cool, but then what? Being so important storywise, how come they feel useless. There is no problem if they are just McGuffins like the medallions in Ocarina of Time, problem arises when you can change your appearance and affect a little of gameplay. But what is the point of affecting gameplay if, that effect does nothing? Well, this is precisely what we needed to rework in the game. Next, one of the things that was pointed out to us was the use of a health system. Iris can withstand 4 hits before dying, but what does it bring into the game itself? She can't fight back, besides hitting you, things do not present a real problem to the player, you could just run and take a few hits to reach the next place and loose virtually nothing. ​Right now, if you die in the game, you respawn in the same area you died, but at the entrance. Not at the start of the "level," but at the start of that precise section you are right now. That would give the player the opportunity to tank hits from the enemies, evade one or two and reach the next section. If they died at that one, they would just respawn in there with full health. So, enemies presented no real danger. Now, we could just add more enemies, but REalM is not about that, it is about surviving. Given the connondrum, we either removed the enemies altoghether or added more, none of these work for us, so we opted for a third choice. The original health system system came as a no brainer for us, but in reality, after a lot of analysis, we came to the conclusion that the health system actually hurts the game. So, our third choice: remove the health system and let Iris die from one hit. ​To us, the choice was obvious. By keeping the health system, we would have to give Iris a way to defend herself and as stated above, it would go against the principles of the game. So, keeping the health is a no no. By removing it, we are taking away something that wasn't doing anything right now and, it would give more meaning to the enemies by not letting players just dash through danger tanking some hits. 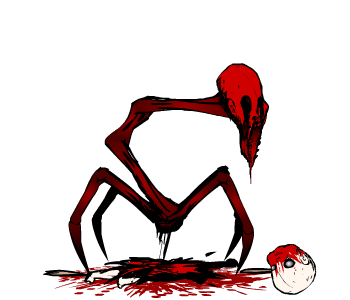 Nevertheless, a couple of enemies would be vey poorly designed to work in this scenario which is why we are reworking some enemies so that they feel better with the new mechanic. Hope you like what we are working on right now :D. See you next week. Well, for most of us, this week is like christmas, E3 gave us a huge time this year with great announcements. Lots of games, lots of gameplays, even demos. And one sure thing, the debates that every single year arises: who won the E3. Which always boils down to what games you like that get announced by who. For us, it was PlayStation's conference that took the crown. We were watching Playstation's panel on monday and once it started, I was like, I know that music, but I'm not sure from what game is it from. Once Kratos came on the screen, it was quite obvious, and made me feel, besides über exited, a little bad, I can't believe I couldn't remember the song given that I've beaten every single GoW game more than once. Well, guess for me Krato's theme is the "Hold Devil's Pot of Tea" one (google it if you have no idea what I'm talking about, if you love GoW you are in for a laugh). Next came a game that actually mislead us, or rather we got mislead. Some locations looked a lot like places from The Last of Us, so we really thought they were giving a trailer for the sequel, and suddenly another title appeared on screen: Days Gone. It was a little of a let down, but in honesty it was our own hype that got us there. If you are following REalM: Walk of Soul, by this point you know that one of its main inspirations comes from the Survival Horror Games of the Golden Age, and TLoU, is one of the closest things we have to that in our time. Nevertheless, the next announcement, literally blew me away. A trailer to what appeared to be a new horror game IP in the vein of P.T. (we will miss you Silent Hills), in the end made me go crazy. When it all ended and the title appeared: Resident EVIL (RE7). This. I mean. This. I had no words. As a long time fan of RE, watching what apparently meant the series going back to its horror roots, was one of the greatest things that could happen. A little after that, they presented one of the best Game Designers in the world, Kojima, and he brught his new toys, showing us a teaser of its newest IP. I gotta say, at the end of the trailer, it made a huge pause before putting up the name. I'm not sure how long it was, but felt like a minute to me. Suspense to its maximum, my heart stopped. At that moment, there was only one thought in my mind, since it is building this much suspence for the name, maybe Sony threw money at Konami to get the SH IP. Of course that didn't happen, but after the RE7 announcement, that dream wasn't so far fetched. There was a lot of great stuff in the rest of the conference, Crash remastered, the new IP from Quantic Dream (which we are also big fans of) and so on. But for a developer that loves horror, those two won us over. And the hugest surprise after the conference? the demo for RE7 was already up to download. Of course it got downloaded ASAP, and if you've been living under a rock the past week, its been driving the internet crazy. I can only think that Capcom set to continue what Kojima started for Silent Hill, using much of the same formula since, RE7's teaser/demo is a lot like P.T. And just like it, it still has secrets that people are trying to figure out. Specially, the mistery of the dummy finger. People still don't know what it is for. How can it be used or where. At this point, everyone is asuming that since it's there, it has a purpose. And what can I say, Game Design does tell us that things put in a game need to have a purpose, a reason to be there and make it into the game. Well, it took the internet 9 days to figure out how to get P.T. 's ending, after someone by luck got it, let's see how many days it takes us to figure it out. In the meantime I'll keep looking, and googling every morning if someone already figured it out. There was definitely more things on the E3, like the new Zelda (Breath of the Wild), Mass Effect Andromeda, but to be honest, that hour and a half that brought back Survival Horror and Kojima, took us away. ​Share with us what blew your mind, which conference you loved the most and which game you can't wait to play!!! (besides REalM: Walk of Soul of Course :P)!!! Development update #2: Premature optimization, the root of all evil. Very wise words, but a little counter intuitive at first glance. You may say, but, isn't it better to plan optimization once you start a project so that you don't have to, like, do double the work optimizing later? And the answer is not that simple, it's a yes, and a no. You see, when you start a project that has a lot of stuff that you really don't know what they'll be in the end, it's hard to actually gauge, code-wise, how impactful each piece of the code will be in the run time of the game. To meassure how fast an algorithm is, we use the notation O(log(n)), O(n), O(n log(n)), O(n^2), O(n^n), etc (it can be any other mathematical function, not just a power, but i'll leave it like that in here :P) and we call it its order. O(n) is good, O(n^n) is really really bad. A small example of how, higher order algorithms quickly become more and more slow. Logarithmic is O(log(n)), linear is O(n), log linear O(n log(n)), quadratic O(n^2) and so on. So, the thing is, unless you make an analysis of each and every algorithm in your code, you are not gonna be quite sure about how fast, or slow is each part of the game. This just gets worse if you use an engine not written by yourself, because you have no real idea about the order of each function. Now, I'm not saying using an engine like Unity or Unreal is bad, is just something that adds up to the issue at hand. And even if you wrote your own engine, if you start adding coders to the team, different approaches to a same problem can create parts of the code with different orders than expected. Now, why is it so important to know the order of an algorithm? because if, for example, you have codes of order O(n), a very low low and fast order, there is literally no need to optimize it. Hell, you are most certainly wasting time (money) doing so. So, how do we know what to optimize? Knowing the order of Every. Single. Function. And. Method. In. Your. Game. Are you thinking that is not plaussible? that you are going to loose a ton, a huuuge ton of time to do so? and that this equates to money that our game costs? Well, that's exactly why premature optimization is so "Evil." In the long run it's literally more cost-effective to optimize later than in the planning stage. 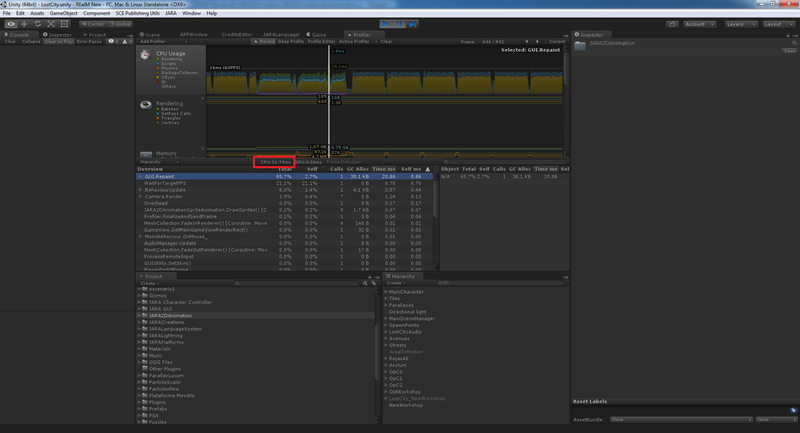 Using tools like Unity's profiler to find which parts of your game are eating up the processing time of the game, then re-writing pieces of code and patching will be way better than trying to ultra-optimize everything from the get-go. On the other hand, experience will be your best friend, one day of course when you (we) have it :P, because you'll know beforehand that doing something in some way will eat up a lot of CPU or GPU. On the other hand, that doesn't mean you can't learn from the experience of others and not do things that experts are well aware that you shouldn't do. Reading best practices for Unity/Unreal is always a plus. After all that, what did we actually do this past week? Well, we are optimizing REalM, searching all those pieces of code that hurt the game. The game runs actually pretty well, 60 fps on PS4, 30 fps on low-end laptops, but from time to time, there are some spikes, which we don't want to hurt the experience. Right now we had one special culprit for this, and wanted to share it with you all, specially with Unity users. As you can see in the image below, it happens, according to the Profiler in GUI.Repaint. This is called by Unity if in any of your classes you use the OnGUI() method. In our case, we had the OnGUI() to monitor certain statistics of specific objects, controlled by a flag. If the flag was on false, the OnGUI() simply returned at the begining. Nevertheless, even if it does nothing, OnGUI() causes a huge overload, by commenting the method on the class, since at this point in development it is no longer used, the spikes are gone. In other words, remember to remove unused code :P.
This is just but one of the things we did last week to optimize REalM, and we are still working on it, so when you play it, you won't have any issues with it. Development update #1: On to better loading times. I wanted to share with you what we are currently working on, as on this week, as well some thoughts on commodity for the dev team vs commodity for the player. When we were designing Realm, since the game was composed of "windows" to explore, like in Resident Evil 1-3 (small areas to explore), it was "logical" to have each window on a different scene. Like in RE, you go through a door and it loads a new area/scene. 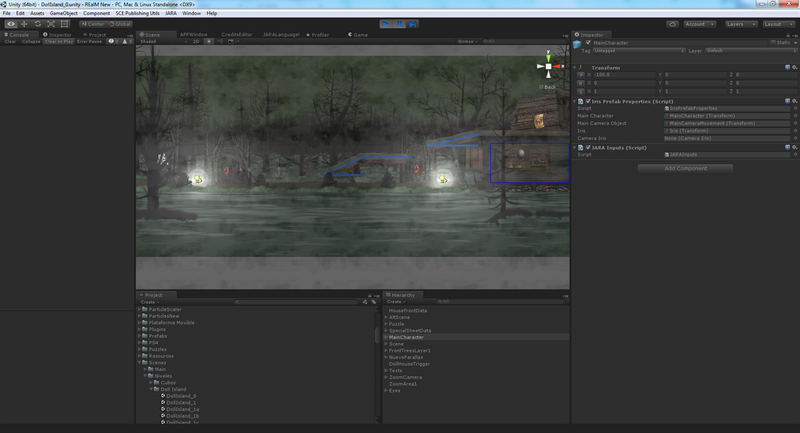 It was very practical for us, to let the engine (Unity in our case) handle area changes. After our first closed testing reports, we found there was a problem with the amount of loading screens the player had to go through when changing scenes. First time it wasn’t that much, but after advancing through the game, since it requires exploration, it became tedious for the player. Sometimes going through 5 loadings in less than a minute. Now, don’t get me wrong, loading takes less than 5 seconds and gives you a little lore ala Dark Souls, but it was still too much. You can also find us on: Facebook / Twitter / Tumblr. It was Thursday at 10pm, after driving all day to San Antonio, everybody was in a rush making sure the booth was up and running. We were tired from the trip, but most of all, we were anxious. What if people didn't dig into REalM: Walk of Soul? What if the media didn't like it? This game, this dream in which we've put all of our hearts into, what if only WE cared... We were happy to be at PAX South, but overwhelmed by those what if's. In the end, we are indies, if those what if’s do end up being true, that means all the money we spent will end up as a lost investment. 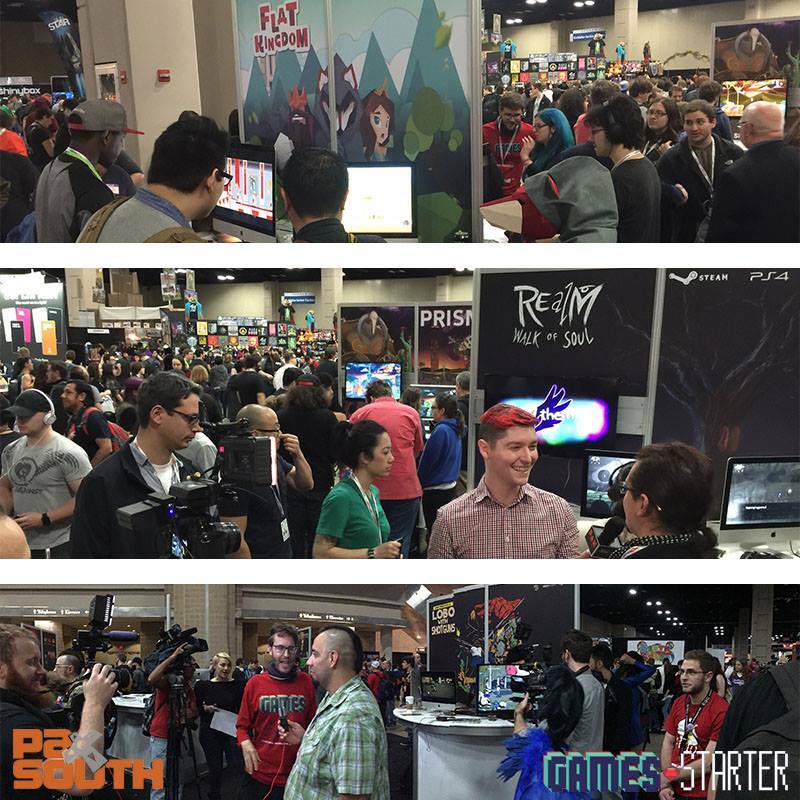 Yet, as indies, we also know that some of the info we learned at PAX South can be highly valuable to our fellow devs that still can’t completely decide if the trip and money is actually worth it, so in here we’d like to share our experience at PAX South. So, let's start with how much it actually cost us to be at PAX South. Ok, first of all, the base cost to have presence at the venue. The smallest booth (the floor space itself) had a cost of $1,050, nevertheless, we were on an even smaller booth because we were selected to be part of the PAX Rising area. 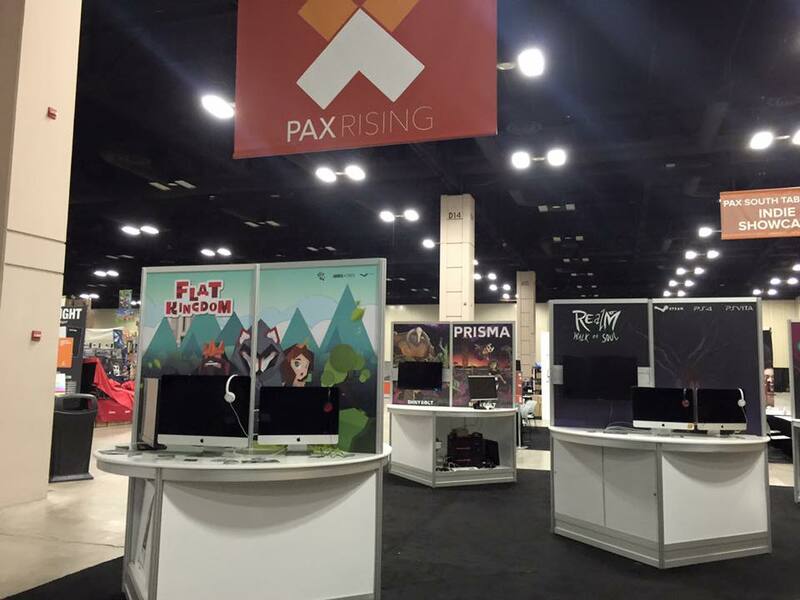 The event organizers told us PAX Rising hosted some of the most promising indie games at the event (which made us feel awesome :D). All the three games published by Games Starter had the chance to get our booths right next to each other: Flat Kingdom, Lobo with Shotguns, and REalM: Walk of Soul (we also met the developers behind Invisigun Heroes, they are awesome!). So the cost of the actual booth/half-pod was $1,200, including the space and the banners for the game. It was slightly more expensive than a 10x10 feet (3x3m) booth, but it already included its “embellishment!” remember, floor space it’s not going to look awesome by itself, it will have a cost, that cost for us was $150, so to speak. Left: Our booth/half pod at PAX South. Right: Part of the PAX Rising Area. Next we have the costs for the booth itself, or rather the cost to have the game played. 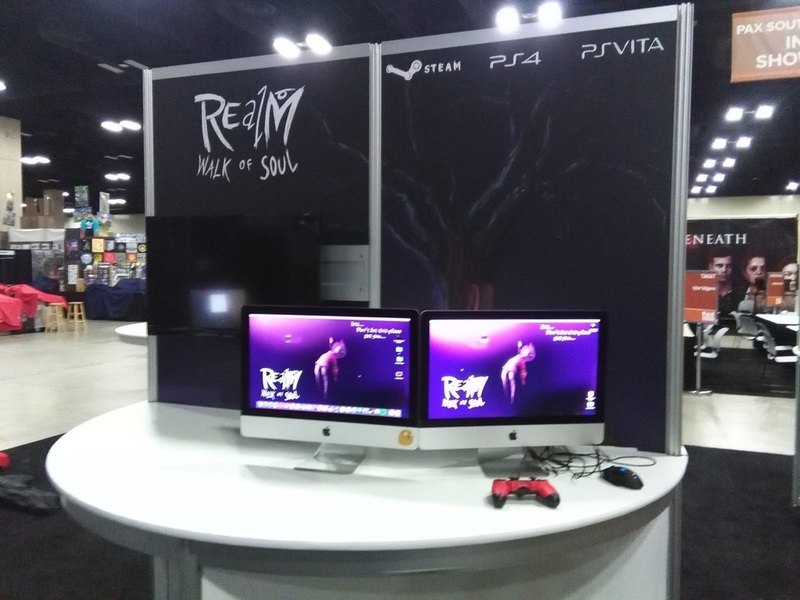 We showcased REalM: Walk of Soul on two computers (the pods are small, so you can’t fit that much into them) and used a screen that rolled the trailer over and over so that people passing by could get a quick glimpse of the game. Now, we wanted players to not only experience Walk of Soul, but to immerse themselves into it, and for this we needed the game to run perfectly and look as beautiful as possible. To do so, we brought 2 iMacs we have back at the office (in Monterrey, Mexico) in order to cut expenses. Now, before you think we have lots and lots of money because of the iMacs, let me tell you that we actually paid $300 for each of those 2 years ago, thanks to a government financial aid program to support local startups. 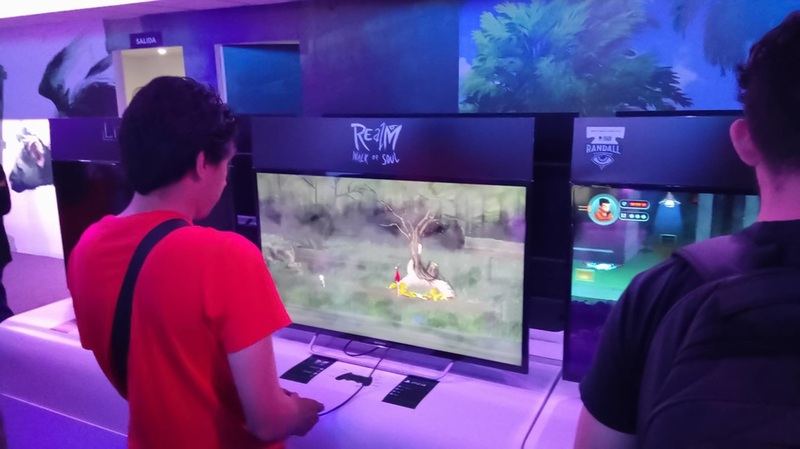 We believe, the best way to play REalM: Walk of Soul is with a PS4 controller, in part because we like it and also because the game is coming out for PS4/Vita, it features button prompts related to the DualShock 4. We used our own controllers so we didn’t have to buy new ones, and yes, we were driving ourselves crazy thinking about what if they got stolen, after all, there was going to be a lot of people and someone could take them while we weren’t watching, I mean, I use those controllers to play in my house, of course I was paranoid. Nevertheless, nothing happened. Next we have the sound related experience. We knew there would be lots and lots of noise, so it would be next to impossible to hear Walk of Soul while you were playing and even if you could hear, the trailer would take central stage in there, in order to steal people’s sight and ear. To solve this issue, we bought two pairs of headphones. So, all in all, we ended up spending only $40 on the headphones, but we had to bring our computers from Mexico. By doing so, we had to travel by car, there was no other way, but we’ll talk more about that later. Next comes the merch stuff. I know you will say, don’t use swag, use your game to impress people, and you are totally right, I’m with you, but I’m encompassing all extra stuff into this section and trust me, there is some swag you definitely want to have around. Presentation cards, flyers, some stickers, the t-shirts I used during the event and a cosplayer as Iris (REalM: Walk of Soul’s main character), everything had its price and you shouldn’t go to a PAX without a minimum amount of that stuff (well, you don’t need a cosplayer, but that is a living and breathing person, not stuff ¬¬, just had to clarify before someone said something about it). So, about a thousand presentation cards, around 5k flyers, add some stickers to the mix, 4 polo shirts (trust me, polo shirts look way better than simple shirts and please don’t try to save some bucks by using the same shirt all 3 days of the event). Add the travel expenses and hotel for an extra person (the cosplayer), and without disclosing how much our now great friend Ryuu Lavitz charged us, the game merchandising rises to around $1,200. So, the event is covered, next is, how do we actually get there? Or as you might call it, transportation. 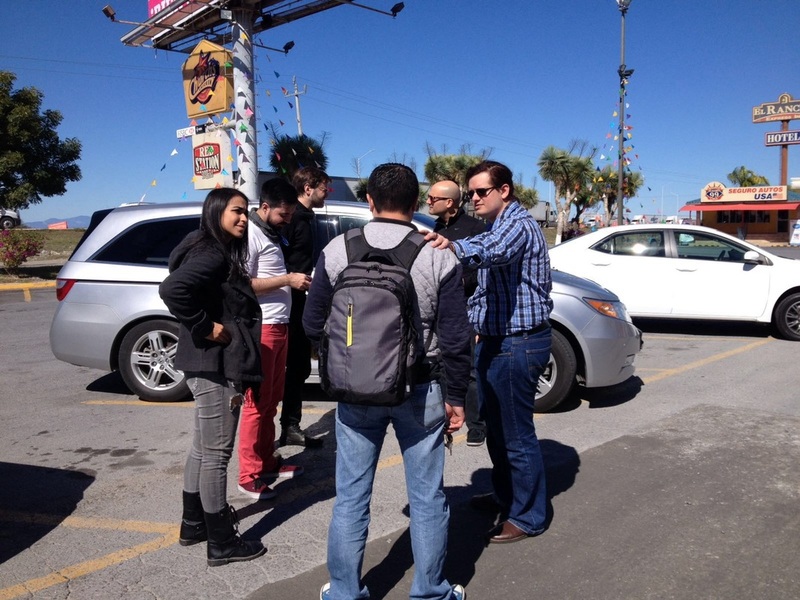 Since we are relatively close to San Antonio, we could travel by car. Luggage, computers and people crammed up in two cars, taking into account the gas cost to get to and back from San Antonio, we get to around $60. Add up around $25 per day of parking, around $40 of border expenses (travel permit, border fee, etc) and we get $200 of travel expenses. That amount was actually pretty small compared to what we would have spent should we’d traveled by plane, and it allowed us to take our own hardware to PAX South from our studio in Monterrey. As to how would we survive those nights at San Antonio? Well, the hotel was around $580 for the four days. I don’t think I can say a lot about this section besides trying to stay in a place that is near the convention center, but not like in front of it since the rate can double that amount. Instead we opted to be a little bit further and take a cab from the hotel and back there (some members of our team opted to run every morning), which made the other $40 of the $620. Just one advice, don’t think that because you have a car, you can save the cab fare, it was actually cheaper for us to take one. The parking was a per day toll, so we had to pay that even if we took the car away and there was literally nowhere near the convention center to park, we would have to pay a second per day basis parking, soooo, please just take a cab or use public transport. As for food, well, if I recall correctly, I ended up spending around $40 per day. I know I could have spent less, but in here we end up with a cost-benefit problem, let me elaborate. You are going to be standing three days straight, from 9am to 6pm, 9 hours almost in a row, standing. My feet are still hurting to this day… But back to the point. After 6pm, you will most likely go with other devs to talk, drink, or to one of the PAX parties for exhibitors, and it’s very important to attend those, because networking is key in this industry. So, you are going to want to sleep as much as you possibly can, given all those limitations. So, you won’t want to, no, let me rephrase that, you do not want to get up a little early to go find someplace to have breakfast, just take it in the nearest place to your hotel (or at your hotel, if you can). Remember, you need to be at a 100% in the expo floor so you can greet people and media with enough energies and without feeling like your feet are literally going to explode at that precise moment. Next we have the food at the expo, you could get a decent meal for $10, but add an extra bottle of water and coffee along the day and you’ll be spending around $16 in food for each day. If we put an extra $8 for dinner, we are at a total of $40 per day per person. So, all in all, we are standing at a whopping $3,460. To an indie, that’s a lot of money. To a Mexican indie, that’s a huge lot of money. If you are from the US, so you can have an idea of how much that quantity is over here in Mexico, let me just tell you that the minimum wage is ten times higher in the US. So for us that was it, just remember that we reduced lots of costs by bringing our own hardware and by traveling by car. Ok, so how did we save up even more money to get to PAX South? Well, in our case, we are working alongside the Mexican folks at Games Starter (GS), an indie game publisher and incubator (awesome guys by the way) and I have to say, if it wasn’t for them, it would have been next to impossible to get there, but that’s not how we saved more money. GS is also working with another Mexican indie studio, Fat Panda Games, who are working on the 2.5D platformer Flat Kingdom (which has an awesome soundtrack by Manami Matsumae) and heavy grindhouse culture inspired beat’em up called Lobo With Shotguns. 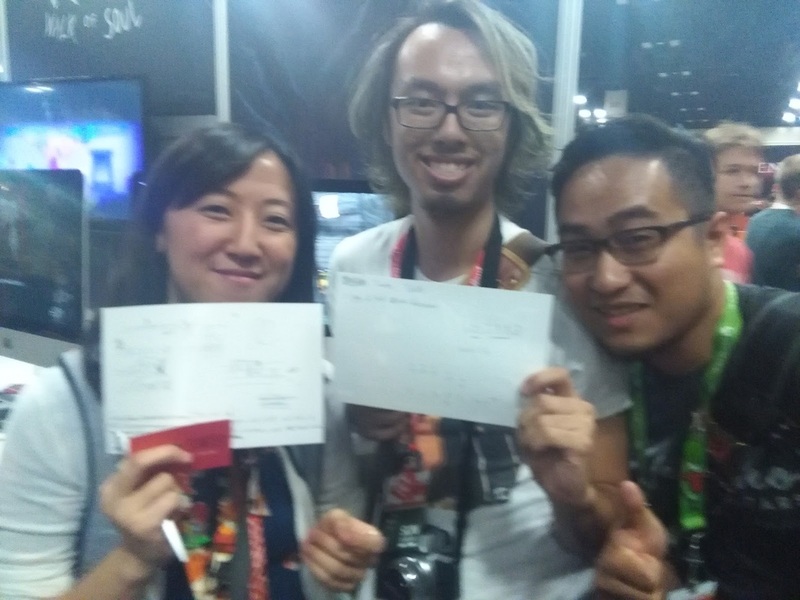 It happens to be that both of their games were chosen to be exhibited at PAX Rising too. Which meant: Road Trip!!! (or sort of). So, we all traveled in two cars (people from Walk of Soul, Flat Kingdom, Lobo and Games Starter) with computers for all 3 pods and everything we needed. We are a little happy dev family. 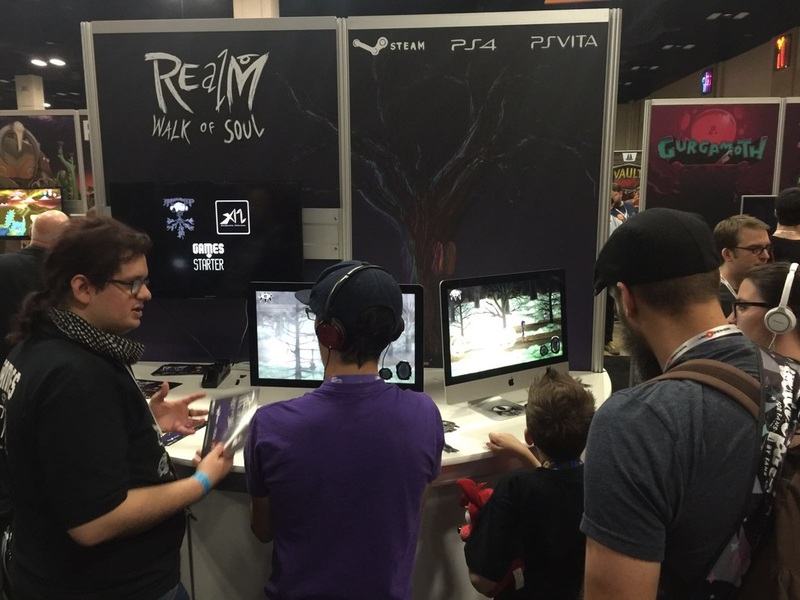 So, now that I’ve talked about the expenses we had and how we actually got to San Antonio, it’s time to talk about what went right for REalM: Walk of Soul. 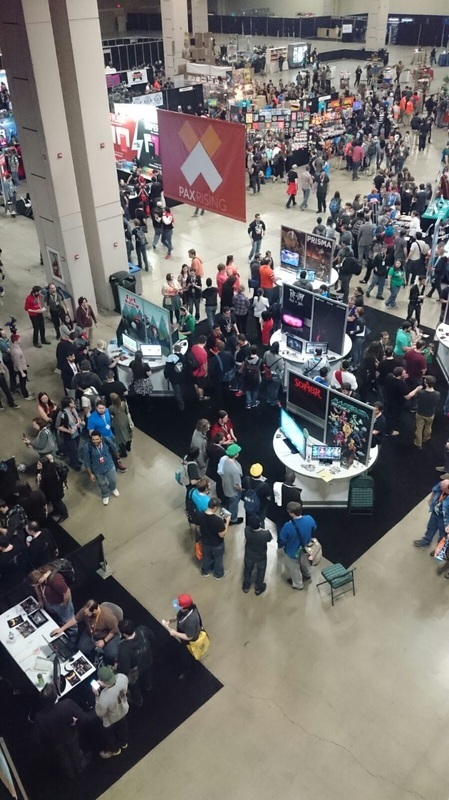 At PAX South, we found 3 different kinds of public: consumers, media and twitchers/youtubers. Breaking their heads and writing down all the hints of a riddle in one of Walk of Soul’s puzzles. The first of them are the actual people that are going to buy your game. 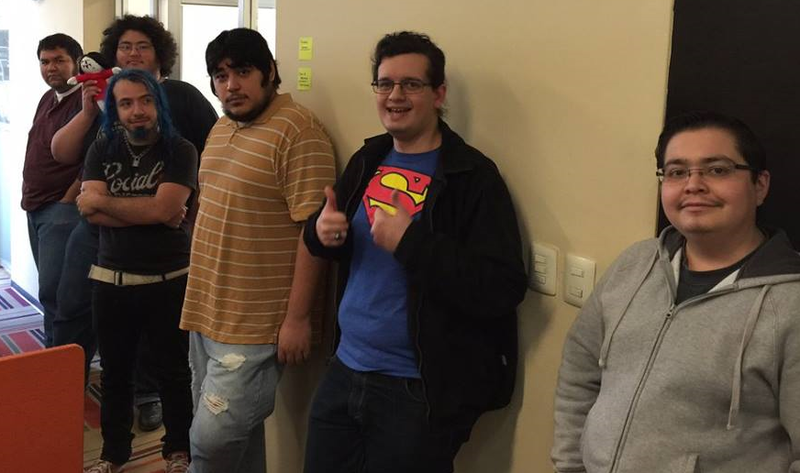 They are the ones that will give you some of the most important feedback you’ll get, your End Users, and their opinion is very important, why?, I already told you, because they are the ones that will buy your game. Listen to them, what do they like the most?, what do they dislike?, what would they like to see? Their input is extremely valuable whether they played the game or just walked by and didn’t even notice your trailer (this last one is very important, since even though they won’t say anything, if no one is looking at your trailer, then be careful, because it may lack some juiciness). The second kind of visitors you’ll get were tagged as media in their badges. Remember when I told you networking is key in this industry? Well, you may want to talk to them about your game, my advice is to not oversell it, be honest about what you are presenting and also be kind and treat them like any other colleague visiting, enjoying and (at times) suffering a big convention. They are the ones who will get your game covered by sites and or on their channels (streamers/youtubers). If one of this guys likes your game, she/he will remember it, and maybe talk/write about it, probably reaching lots and lots of people, not just those at the event. Last, but not least, we have the twitchers and youtubers. These guys (and girls) are somewhat in between the first two. They can be end users, so their input will always be awesome, but they will also want to play your game in front lots and lots of other end users, so they’ll be like the media guys, but without writing articles about your game or interviewing you. So, how did the public influence what went right for REalM: Walk of Soul? Well, people loved the game (those that are into this kind of game). They got trapped by the visuals, and as soon as they wore the headphones, they got lost in the game’s world. We had lots of interviews and people from the media were falling for the game. We got to meet the awesome crew of CONtv, Tiny Cartridge and many more who were interested in talking about the game. Well, now that we talked about all the awesomeness that happened to us at PAX South, it’s time to talk about what went wrong. So let’s go. 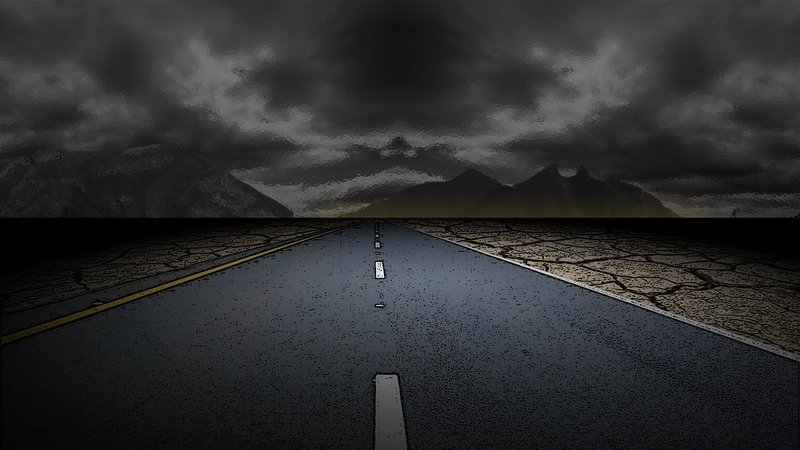 Walk of Soul is a game that thrives on immersion, anguish and psychological perturbation. You’ll have to let yourself go into this place we’ve crafted just for you in order to enjoy it. And as we’ve stated before, people were losing themselves into it, nevertheless, it’s hard to do so if your feet hurt because you’ve been walking for 1 or 2 days looking at all the great games at PAX. We couldn’t have chairs in the area due to the space at the PAX Rising area, and that really hit us. An awesome experience for the PAX Rising’s studios. Next, the space. Oh my god, the space. As I mentioned before, we had 2 computers to play. Big mistake. Again, our game likes to take its time, to make you think, and play for 30 minutes to 2 hours. Having said that, people were actually playing for 30 minutes to 1 hr! So what’s the problem? Well, imagine you are next in line, you’ve been waiting for around 30 minutes and you can’t still play the game… You ARE going to leave. So, people gathered around, lets say 10 people, and then they left… Lots of them got back later and had a chance to play, while lots of them came back to find people playing and tried again later or the next day. As to how to actually solve this problem, I have no idea how to do it in an easy and, at the same time, affordable way. The first thing to do would be to use smaller monitors in order to put up several PC’s, but that would mean bringing for example, 5 PC’s. Well, we don’t have 5 PC’s, we have a mix of PC’s and Mac’s. Maybe using laptops, problem is, we want the game to run as smooth as possible, so unless we use really good ones, they won’t be as good, meaning we would need to get some good ones, which goes completely out of budget. Another idea that was thrown away was to put a timer and limit the time players can play, it could work given the limitations, but I’m not fond with the idea of telling players to please stop playing. If you have better ideas on how to solve the playing session time dilemma we are all ears (or eyes, as we would read your comments). What did we do? Well, we improvised a third station using one of our laptops, my headphones and an extra wired xbox 360 controller I was carrying around for emergencies, and although it helped a lot, 3 were still too few. 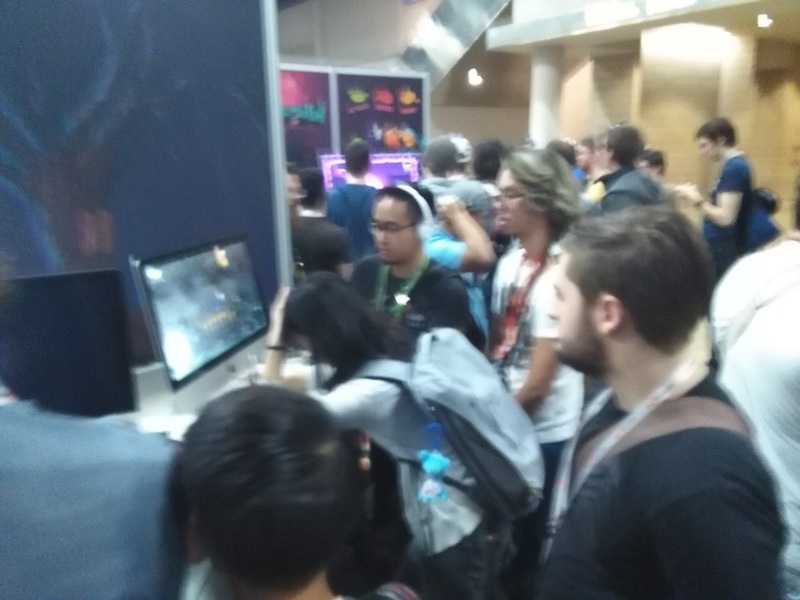 In the words of the guys in charge of the PAX Rising Area (thank you a lot for everything Kevin and Kyle), our game actually needed a booth with three times more space, be kind of isolated and have chairs or somewhere to sit. Another of the problems was the number of people that could take full care of the booth. One thing is to receive and greet people that were playing the game, and a very different one is to be able to give interviews. In our case, we were 1 and a half :D. Me and Jesus Fabre, our PR guy, well, PR guy for Games Starter, so he divided his time between the three games. So, word of advice, you want 2 or 3 people fully prepared for everything at the booth. Next time I’ll be sure someone else from the team with good communication skills can make it to the convention. Moving on, we had a huge problem with the stickers and the flyers. The organizers told us that people were just taking stickers to put them on the walls, not just ours but from other devs too. At this point we had to take out the stickers from the booth and started giving them to only those that liked the game (we also had to ask them to please not stick them in the walls). And the flyers, we made a huge mistake with them. We only printed the front side. Literally every single person I handed a flyer turned it around to see what was on the other side. It was white, blank. 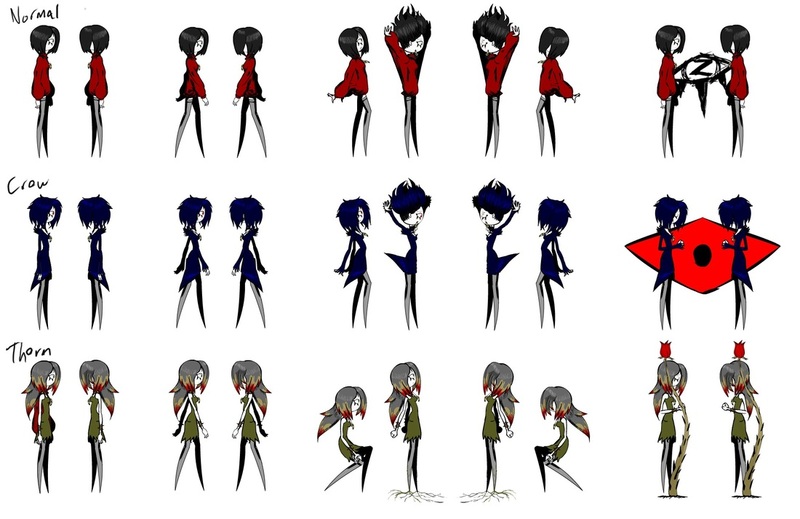 Also, Walk of Soul is a surreal and cryptic game, so a simple image, a logo and the platforms weren’t telling anything. 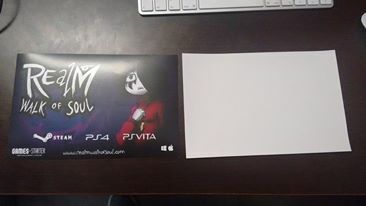 So, if you are taking flyers to PAX, print on both sides. And very important, if you are making a narrative game like REalM: Walk of Soul, try to use both sides to show the uniqueness and narrative of it. Finally, get used to it, you are going to lose sensibility of your feet. Get the most comfortable shoes you can. If they are $100, they are well worth it. I used my normal shoes and I regret it. I wish I bought new and comfy shoes just for the show, the investment is totally worth it. If you sharpen your senses, you could end up attracting some journalists/youtubers/streamers to your booth and potentially get some interesting coverage. Thousands of very receptive and proactive (giving feedback and suggestions to us) gamers. Great place to do networking with other fellow developers, meeting and hanging out with other devs, that was one of the greatest part of PAX. The cost, even though is not that much, I know that each dollar matters for us. It’s a gamble. There is no guarantee that you are going to get covered by a big press site or famous youtuber/twitcher. You are going to wish feet transplant existed and no matter if you have stop eating for a year to pay it. 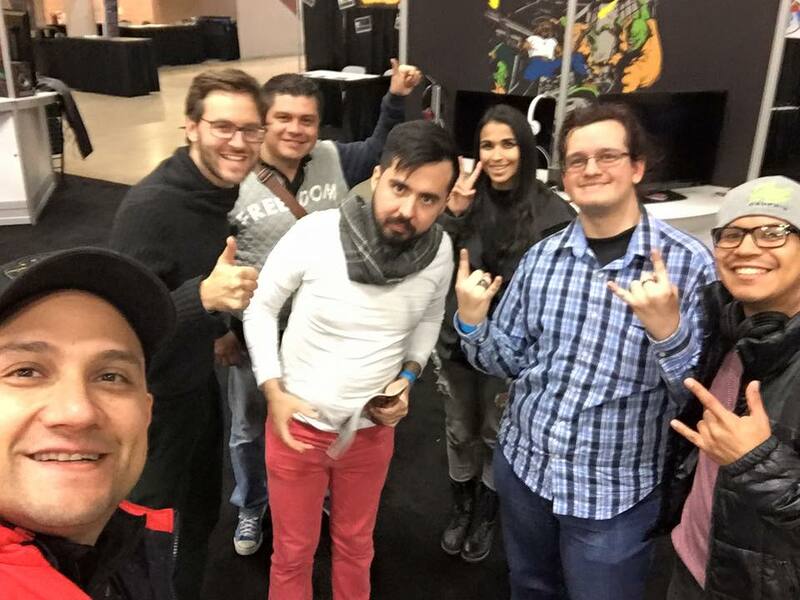 Conclusions: Is PAX South actually an event worth to attend for an independent developer? 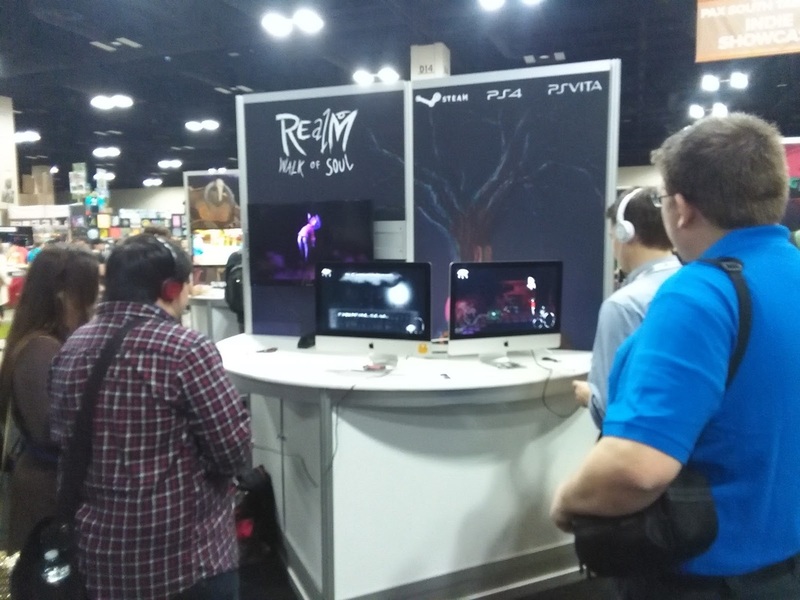 All in all, attending PAX South in the end was a gamble for us. In our case we got lots of coverage (IGN, Mashable,...), but we are also aware that not all games did so well. Nevertheless, all the feedback given by the players proved invaluable to us. So, is it worth it? Yes. Totally. Period. You’ll tell me, but didn’t you say it was a gamble? Yes, but this gamble can only be done a very limited number of times in the year at PAX East or Prime, E3, GDC, Gamescom. And not only that, but we are close to launch and couldn’t afford to miss the opportunity of attending an event like that near home. There is only one place where you can really show your game to media and the public for a relative low price (if your game gets in one of those booths with multiple indies, i.e. PAX Rising, Indie Megabooth, etc), and that’s at these events. Also, if you happen to not get any attention at all, remember, you will still be learning a lot from all the feedback given by people playing your game, players from all ages and colleagues. And with their input, be sure to make not a great game, but an awesome game for your gamers. TL,DR - If you are an Indie dev with a game in an advanced development state, you want to go to PAX. Hi everyone, it's been a while since I wrote here and I apologyze for that. We've been very distant from the page, but not from the game, and a lot, and I really mean a lot has happened in the year. But first, a huge apology since I said in Steam that I would start writing on monday, but yesterday was a crazy day. But thats another story, so lets keep going. Lets start with the end of 2014, because that's when everything skyrocketed. it was December 31, and I was passing th holidays with my family. I had my wife's laptop with me because of still pending work to be finished and to attend to mails, in case it was necessary when suddenly an awesome mail arrived: "Congratulations, you've been accepted in Games Starter." I know, you don't have the slightest idea o what GS is, so let me share it with you. 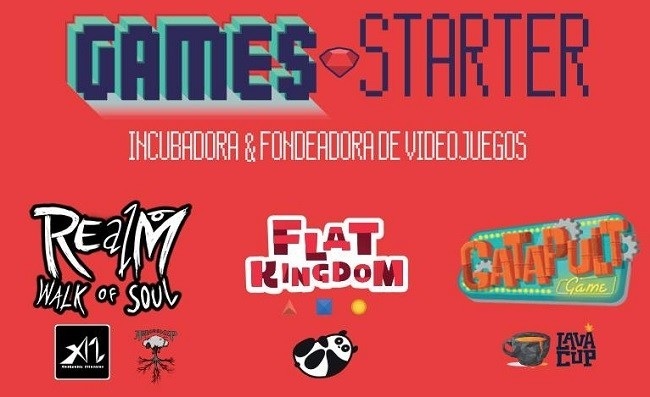 By half of 2014, a new company started, called Games Starter, with a goal in mind, to be an Incubator for video game studios and create an ecosystem/industry in the country so that we are more recognized in the world for the games we develop (in Mexico in general). Nevertheless, anyone that knows a little about incubators will immediately say, but how's that going to help you make games? An Incubator itself won't really help you. What you need is an Accelerator, and guess what, the guys at GS actually know this, and because of that, although GS is marketed as a Video Games Incubator, it is actually an Incubator/Accelerator/Publisher. With all this in mind, entering GS meant that not only would we be incubated (which we actually didn't need, we've been incubated as a Tech Startup before and were legally stablished already), it meant that GS would take care of marketing and development costs, which for an Indie developer is close to heaven. For the studio, those news were awesome, we were already struggling with money, and had actually stopped working on REalM for 2 months to make a game for a private company to secure funds to keep development of REalM (what, you thought we would just quit, NEVAAAA). Alongside with us, two other studios were accepted and an actual awesome ecosystem of developers was created at the GS offices. - We were already accepted by PlayStation to make the game for PS4 and Vita. - We've already been greenlit. So yeah, it was a dream close to coming true. All that is left is the 4th point, which is to sell REalM. We don't need to be the next candy crush in revenue, we just want this game to be enjoyed (or should I say experienced, I don't know) and to let us make more games. In the end, the dream is not to sell the next billion dollar game, is to be able to share all the stories, dreams and experiences we want to share with you, and REalM, we hope, is just the first of many. Well, after almost two weeks of intense work, and a little more hours than we promised (technically at this time its still before friday midnight in some parts of the world, like Honolulu (and yes, we double checked the world clock) :D), REalM's demo is here. We thank you all and hope you enjoy playing it as much as we've enjoyed developing it. - Walk and jump were completely redone. Now Iris moves as you command her to. - Added a 4th lever in the platforms puzzle to restart the positions of the platforms. - Fixed some missing animation sounds. - As suggested by a friend, changed the numeration of the demo, in order to avoid confusions about the demo being a full game. - Fixed a problem where Iris would not walk out of screen when transitioning to certain areas. - Added visual feedback to when the platforms puzzle is being solved correctly. - "Lost forest" puzzle renamed and corrected text hint. - The house covered in darkness can no longer be accessed until the darkness is taken away (yes, it can be taken away :D). - Also, now there is feedback about the Darkness in that house. - Fixed several issues where different animations could appear in game if Iris was hit. - The Lost Forest puzzle now works correctly, pointing when you make a mistake to solve the puzzle (and have to restart it). - The platform puzzle.... well now it works, previously it could be solved fairly easily due to the arrangement of the platforms and the fact that one could reach a supposedly out of reach platform. - Also, now a door blocks the puzzle prize, so it can only be obtained by solving the puzzle. - A cinematic that wasn't playing in the Nexus, at the start of the game is now working. - There shouldn't be any more dolls appearing from thin air. - Visual guidance is given to spot places to which Iris can't go. - The druid sounds now work correctly. - Now, all gallery pages should appear. - Gallery pages prompt a text to inform that one has been found. - Quit to Title shouldn't be confusing anymore when using a joypad. - In the Paintings Puzzle, if you interacted with a painting when not holding a gem, and then wanted to put a gem on it, without leaving the area, it wouldn't let you. This has been fixed. - When completing the paintings puzzle, the camera would be left zooming on the painting while playing a scene. This has been fixed. - When completing the paintings puzzle, if the action button was pressed, the scene would not play out correctly. This has been fixed. - After reentering the area of the paintings puzzle, Porcelain's cage would not opened. This issue has been fixed. - The Nexus sometimes had some images that were bleeding in some Graphics quality settings. It has been fixed for all. This game is heavy in size! The demo weights 1.3GB. 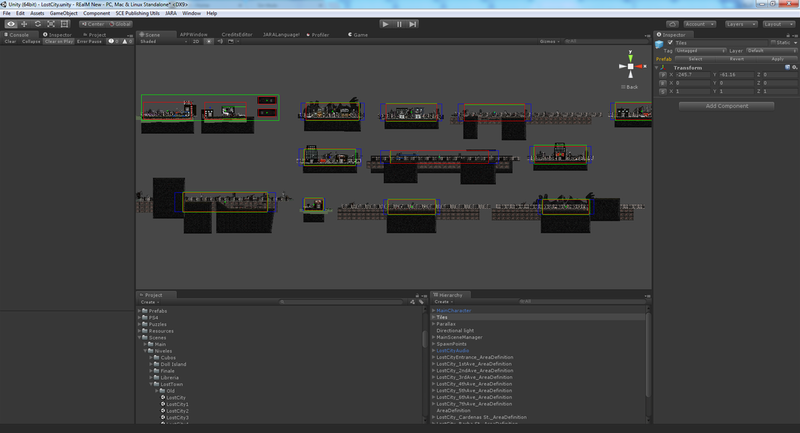 It may sound like a lot for a 2D game, but once you look at it, you'll understand why. The game should be played with a 1920 x 1080 Screen resolution to avoid any problems with the camera, we will work on modifying this for future versions. We also recommend that you play the game with Graphics quality in Fantastic, though you can also play it on Good if your computer is lagging. Z: Action button, used throughout the game to pick up items, place them and interact with the environment and also to agree to different options. P: Pause button, used to enter and quit pause. Esc: Escape button, used to cancel some actions and inside the pause menu used to return to the main title screen. Arrow keys: Main movement keys, WASD can also be used instead. Space bar: The skill effect button, used to activate the special skill of the current effect if available. If no special skill is available, it can be used to jump. 1,2,3,4?,5: Effect buttons, used to change effects when available, if pressed the effect button corresponding to the current effect, Iris will return to normal. 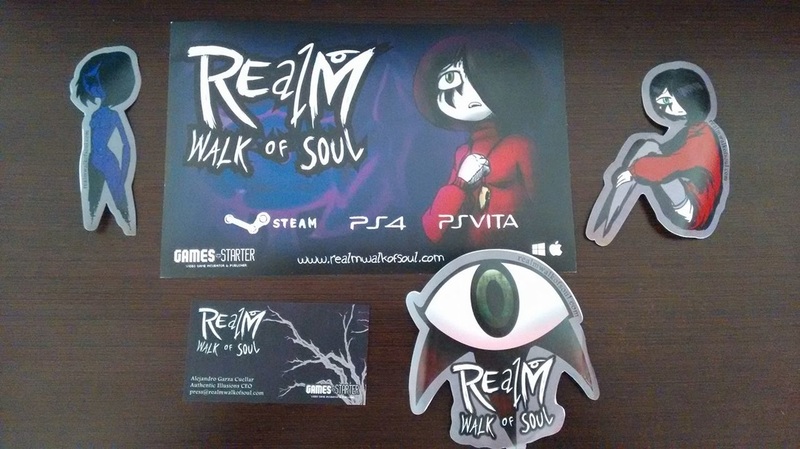 REalM walk of soul Demo release date. So, after some thoughtfull analysis, we've come with a date to release REalM's demo, so, we are proud to announce that on August 22, you'll be able to get the Demo and see the game for yourself. ﻿﻿ We'll be sure to keep posting any news that arise in the following days, as well as advancements in the game. Now, since we are already here, why not shed some light on the current advancements in the game. Currently the demo is comprised of the Doll Island area, as well as small apperances from other areas from the game. Originally, part of the Lucum Library would appear on the demo, but to justify it, a lot more content would need to be added, delaying even more the demo and even questioning if it would be an actual demo of REalM. Nevertheless, it already holds a lot of content with the Doll Island section, so you won't be dissapointed by it. Regarding the Beta access from the Pre-Order, it would be different from the demo. Once the Lucum Library is fully finished (not just the area that was to be included in the demo), those who made the Pre-Order will have access to it. All in all, we hope that you enjoy the demo once it's out, and most of all, that you enjoy playing REalM as much as we are enjoying making it.